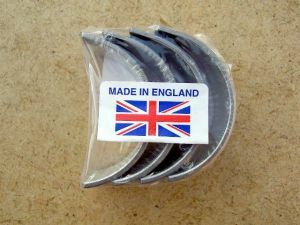 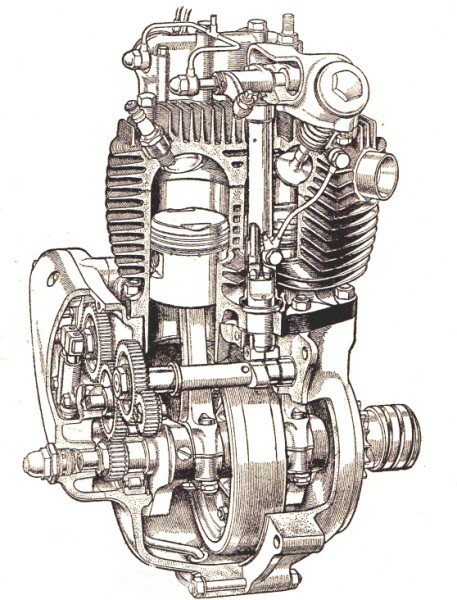 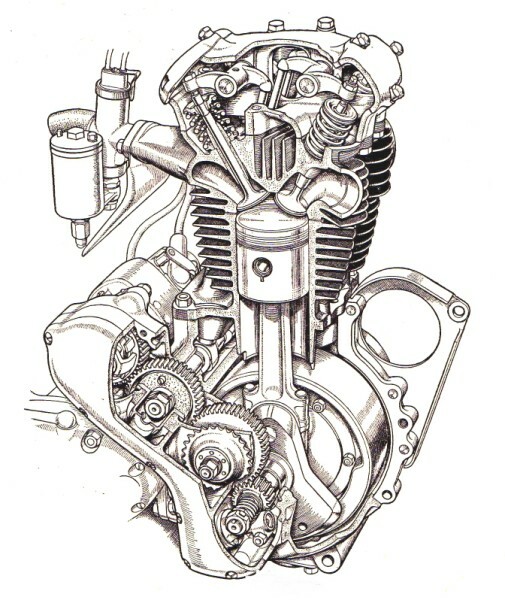 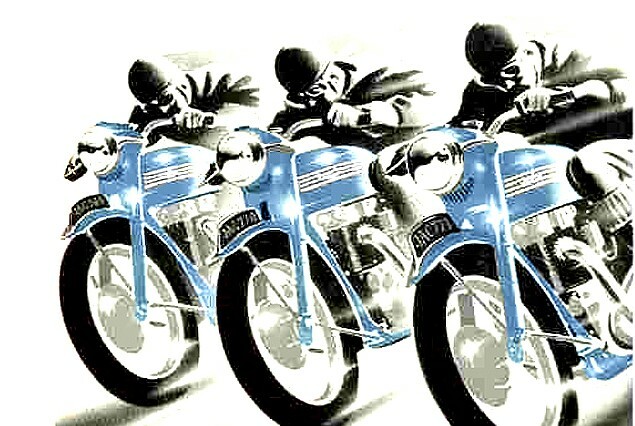 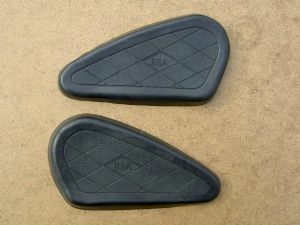 Classic British motorcycle parts and spares. 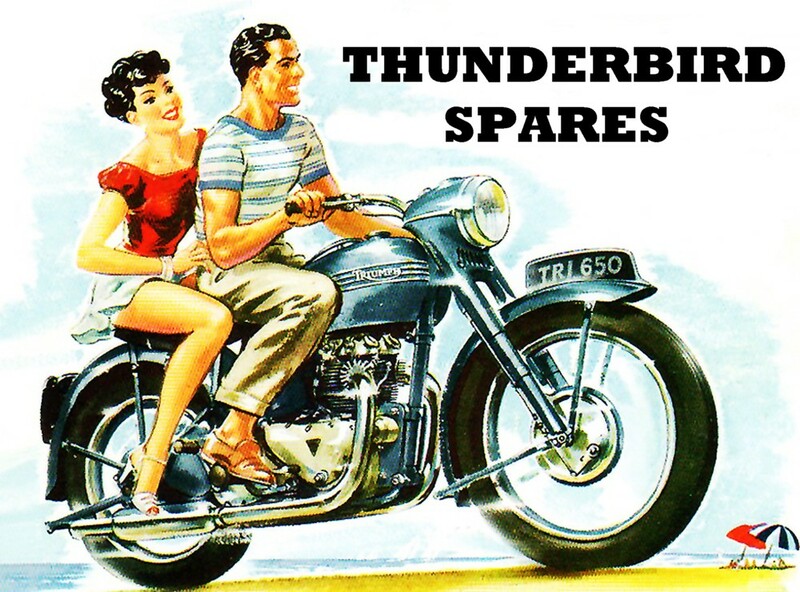 Welcome to the Thunderbird Spares web-shop. 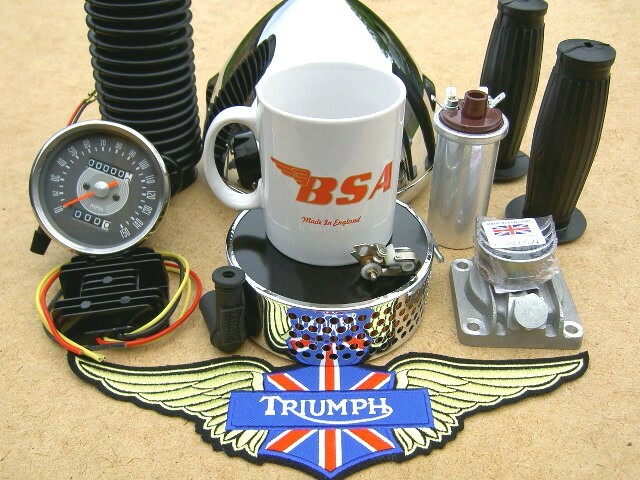 We supply new classic British motorcycle parts to hundreds of customers worldwide by mail order, specialising in replica and new old stock postwar Triumph and BSA parts up to 1987. 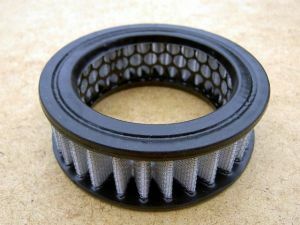 Gauze and paper airfilters for original applications, pancake airfilter assemblies, power-filters etc. 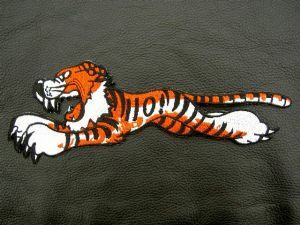 Enamelled lapel badges, leather keyfobs, sew-on patches, tea mugs and rockers' insignia - great for the period touch to your riding gear! 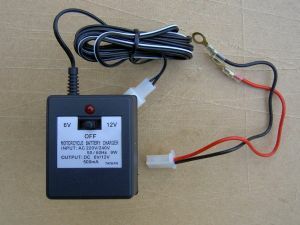 Battery chargers for 6v and 12v motorcycles. 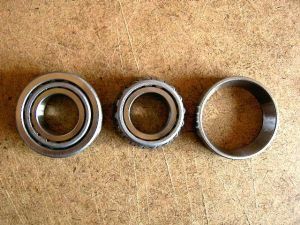 Taper roller and ball race steering head bearings, modern sealed top quality wheel bearings for your classic. 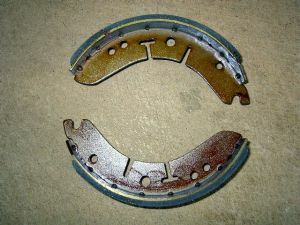 Brake shoes ,brake pads and seal kits. 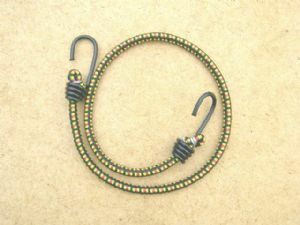 Luggage straps, cargo nets, topboxes etc. 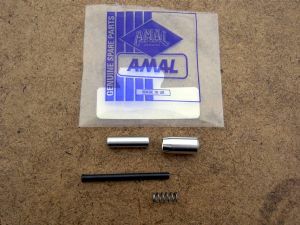 Amal Carbs, "Viton" float needles, shrouded tickler conversions, carb screw kits, gasket sets etc. 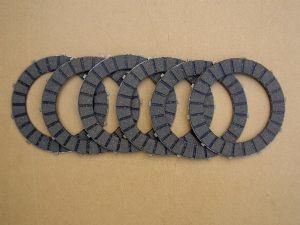 Clutch friction and plain plates, clutch chainwheels, clutch centre rollers, primary chains, chain tensioners and much more. 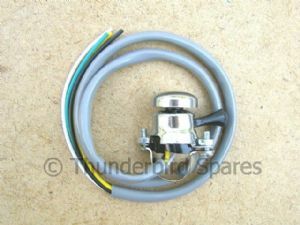 Speedo and Tacho cables, clutch and brake cables, seat check wires etc. 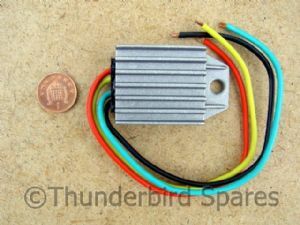 Alternator Stators & Rotors, Zenor Diodes, Rectifiers, Regulator/Rectifiers, Dynamo Regulators, solid state upgrades. 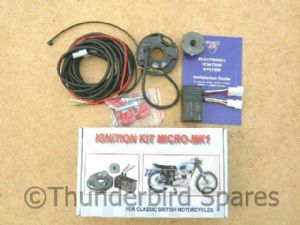 Electric Ignition kits, Coils, Points, Spark Plugs, Condensors etc. 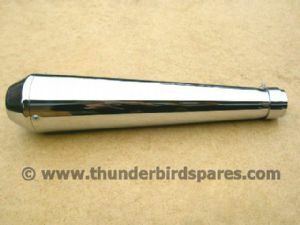 Headlights, Taillights, Warning Lights, Bulbs, Lighting Upgrades and much more. 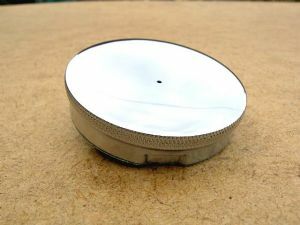 Bottom-end engine parts, big-end shells, magnetic sump plates, main bearings etc. 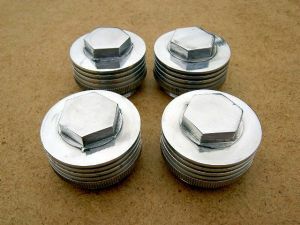 High-tensile engine mounting kits, cylinder head bolt kits and stainless steel engine cover screw kits. 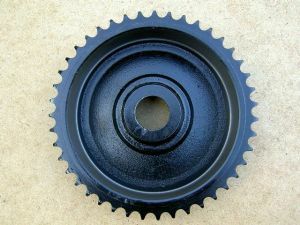 Gearbox sprockets, rear sprockets, brake drum sprocket bolt-on and QD. 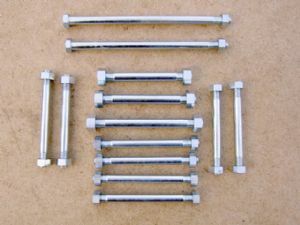 Hard-chrome fork stanchions, fork bushes and seals, replica Girling rear shocks, steering locks, fork top nuts etc. 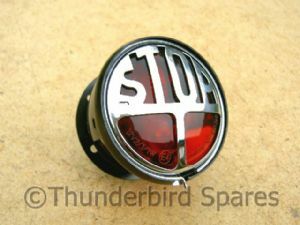 Petrol and oil tank caps, cork cap seals etc. 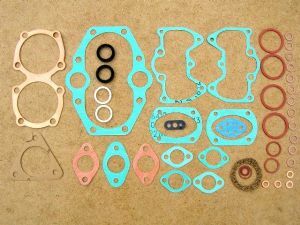 Gasket sets and loose gaskets, copper cylinder head gaskets etc. 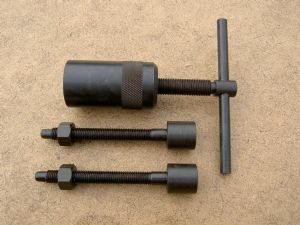 Kickstarts and cotter pins, kickstart springs etc. 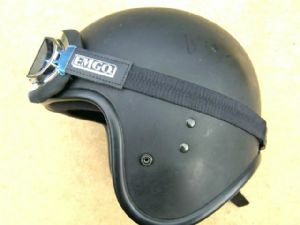 Classic flying goggles, moto-cross goggles etc. 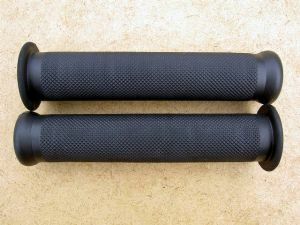 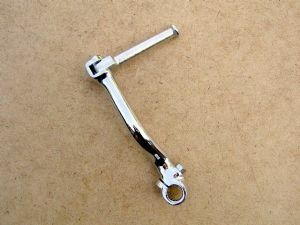 Handlebars and grips, throttle twistgrips, control levers standard and alloy, air & choke levers, handlebar mounting bushes etc. 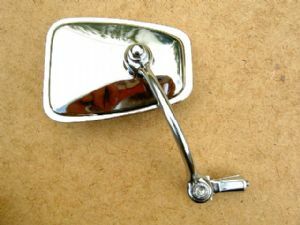 Bar-end & clamp-on mirrors etc. 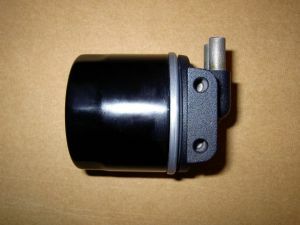 engine oil filters, oil tank filters, filter kits etc. 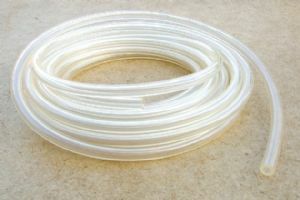 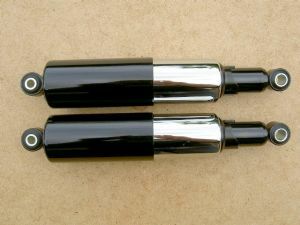 Petrol pipe & oil pipe, clear and reinforced black rubber. 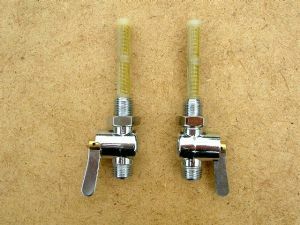 Petrol taps, sealing washers, angled and straight spigots and nuts etc. 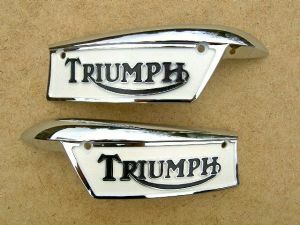 standard and finned alloy or chrome tappet covers. 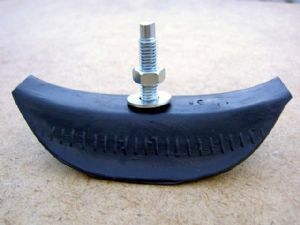 Fuel tank kneegrips & mounting rubbers, chassis rubber parts etc. 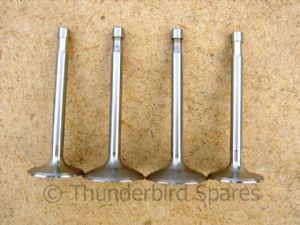 Special engine tools, spanner & socket sets, timing discs, cable oilers etc. 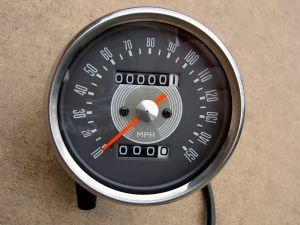 Replica Smiths speedos and tachos, speedo drives & ammeters. 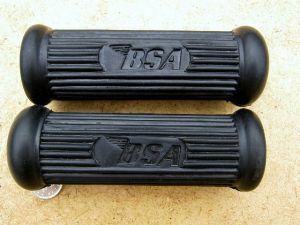 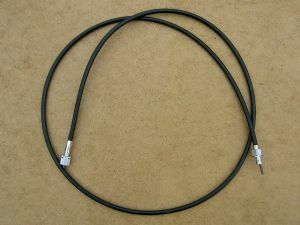 Security bolts, inner tubes, rim tapes etc.